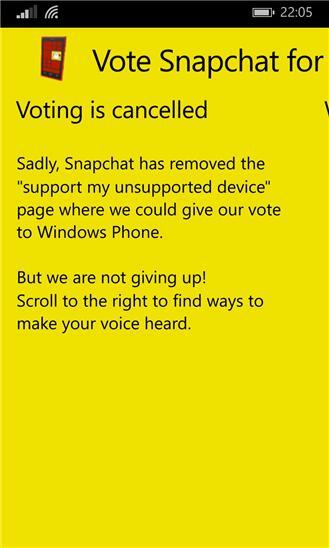 Snapchat has removed the voting section on their web site, but that doesn't stop us! 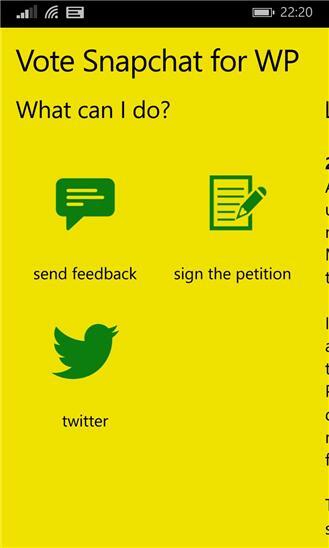 This app gives you alternatives in how to contact Snapchat and how to make your voice heard! Join the fight and spread the word! *Updated "latest news"-section.